How to draw realistic Anime guy. Learn how to draw realistic style of Anime male character. In this tutorial, you will learn to draw from video tutorial and step by step images with instruction. I don’t know what term can I really use for the style such as Final Fantasy and Resident Evil series except realistic Anime or realistic Japanime. 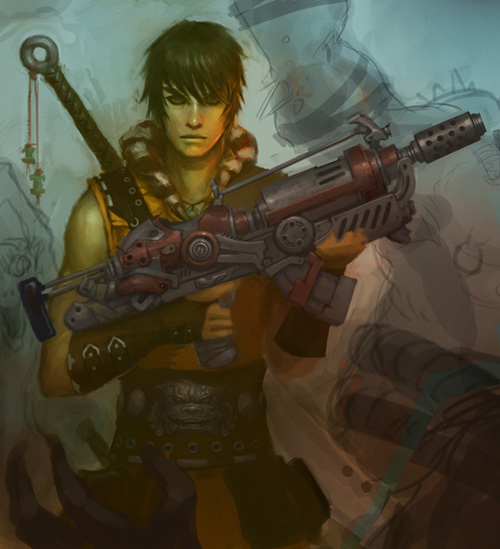 In this tutorial, it will be a male character design. I am going to use the existing character in one of my favorite Anime Soul Eater Character, Soul, along with digital painting tutorial. Draw and Sketch Manga character, Soul from Soul Eater Anime Serie. 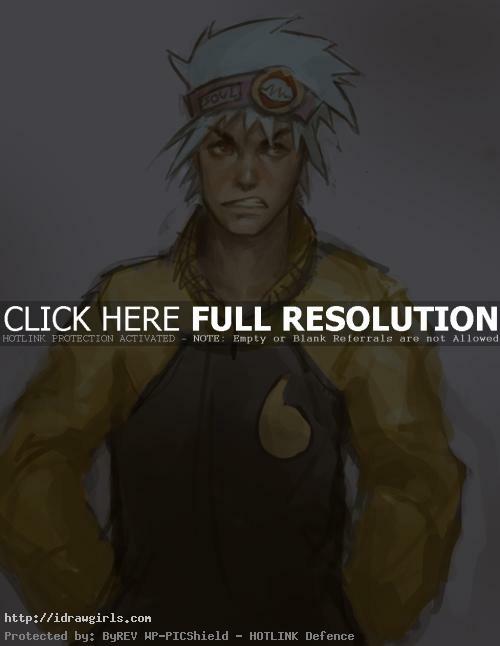 Demonstration of Manga tutorial drawing Anime guy character illustration sketch. Learn from Step by step and video tutorial. This one is focusing on portrait and upper body of a male character design for Anime, video game, and Manga. Here is a bit about the character “Soul”. Soul Eater is Maka’s Demon Scythe partner, and the main male protagonist. He has a laid back attitude, and he tries to maintain a “cool” image, to which he often compares his current situation. He drives a motorcycle, which he and Maka use for transportation, and shares an apartment with her as well. They constantly bicker, often leading to confrontations, though they still work well together in battle. Watch video tutorial how to draw realistic Anime guy. 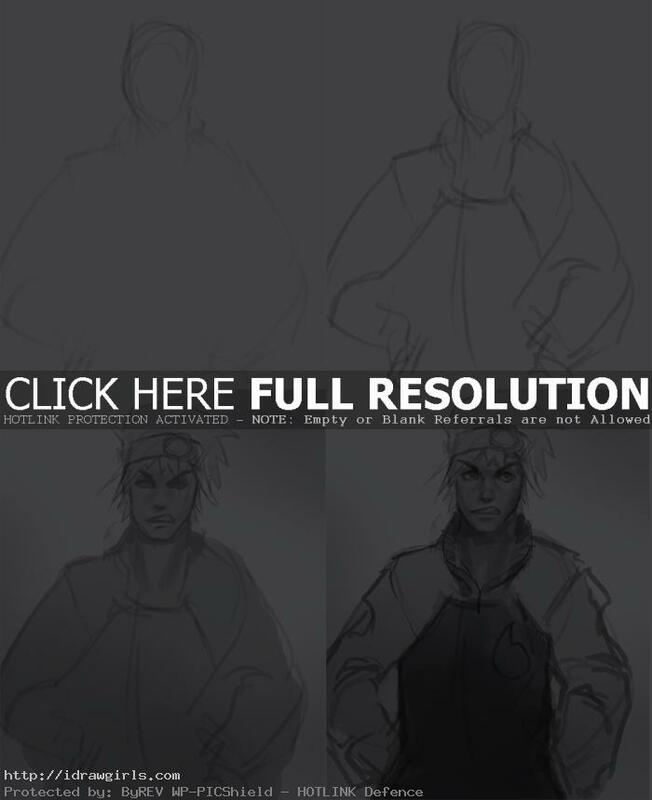 Below are step by step how to draw realistic Anime guy, Soul. Watch the video tutorial for in dept detail instruction. Here is step by step additional coloring. And you might be interested in how to draw realistic style Manga face.